10 years ago, some of the kids from the Food Pantry started asking for notebooks, pens, etc as the school season approached. Advent got together and collected tons of supplies to hand out to kids in need! This great tradition will continue for the rest of July, and your donations can be left in the back of the sanctuary. On Monday, August 7 supplies will be handed out to the children. "In March, students from The Vine NYC, a Lutheran and ecumenical campus ministry in New York City, traveled to Washington, D.C., on a spring break “faith in action” pilgrimage. While most of the students had participated in direct service to neighbors, this trip sought to effect change in a different way—through advocacy to elected officials." The trip was run through Vine, and every participant came through LaMP, which is a ministry of Advent Lutheran Church, Broadway Presbyterian, and The Church of St. Paul & St. Andrew Methodist. By supporting LaMP, we support all of these students in learning to speak their faith and advocate for others! Last week we had the sending of our El Salvador delegation. The current and past delegations stood in the center aisle as everyone blessed them. Our hands and hearts reached out to them, sending prayers of solidarity, safe travels and good times. Tomorrow, members of our Advent community will be traveling more than 3,000 miles to travel, worship, and celebrate El Salvador. Some will be going to a new place, while others look forward to reuniting with old friends. It's an exciting and big step into a different world. They travel July 18-25, and you can share in their experience through their daily blog reflections, which will be shared through our e-letter and Facebook page. Be sure to check in as they tour El Salvador and visit our sister church in Calderitas. Next Sunday, July 30 we're hosting a Ministry Scheduler training session at 10:10am to 11am. This training session will teach you how to sign up for and manage your volunteer opportunities using Ministry Scheduler online. 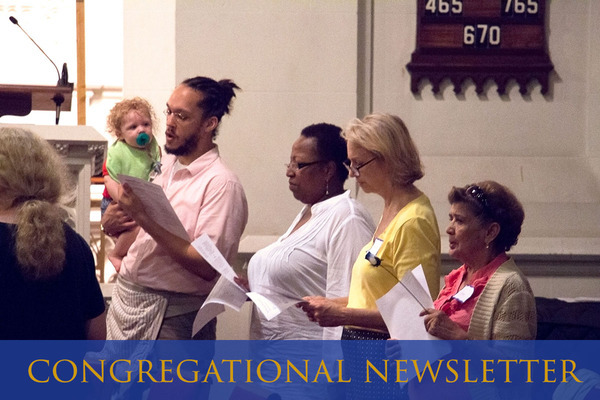 While the Advent Chorale takes a break for summer, there are still opportunities to sing in worship! 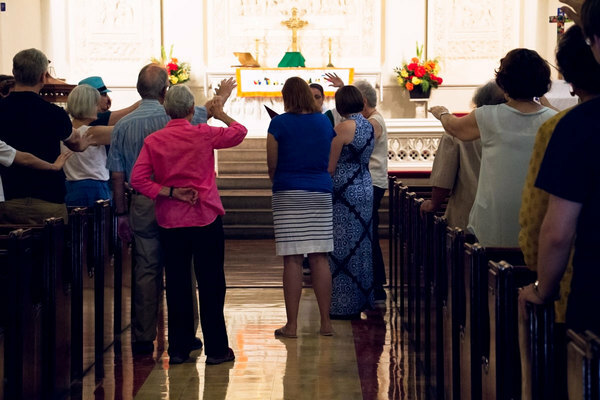 Summer Choir provides a more laid-back opportunity to sing at 11am worship with just one rehearsal the same morning at 10:15am. Summer Choir will sing on July 30 and August 13. All are welcome to join! On Sunday, July 30, you're invited to join our Spanish worship service as it migrates outside to bask in the summer sun. Instead of at Advent, it will be held in the backyard of a nearby congregant, and followed by a cookout. This special outdoor worship service will begin at the regular Spanish worship time, 12:45pm, nearby Advent at the home of Dolores. For the address, email Pastor Gary at pastormills@adventnyc.org. This Sunday, July 23, the Adventurous Adventonians are hosting a discussion of Jane Austen's Persuasion and viewing of the 1995 classic film of the same name. Participants are encouraged to bring a dish to share (Jane Austen-era foods especially desirable). Adult Conversation | Meets from 10:10-10:50am in the front half of the basement fellowship hall. This Sunday's topic will be environmental advocacy -- part of our summer series on social justice and advocacy.